The jackpot for the Mega Millions lottery has reached $868 million, which is the second-largest grand prize in U.S. history. That means it has a cash lump sum of $494.5 million. The winning numbers on Oct. 16 were 69, 45, 61, 3, 49, and the Mega Ball was 9. Officials were forced to increase the jackpot after nobody claimed the prize on Oct. 16, the latest drawing. The next drawing is on Oct. 19. 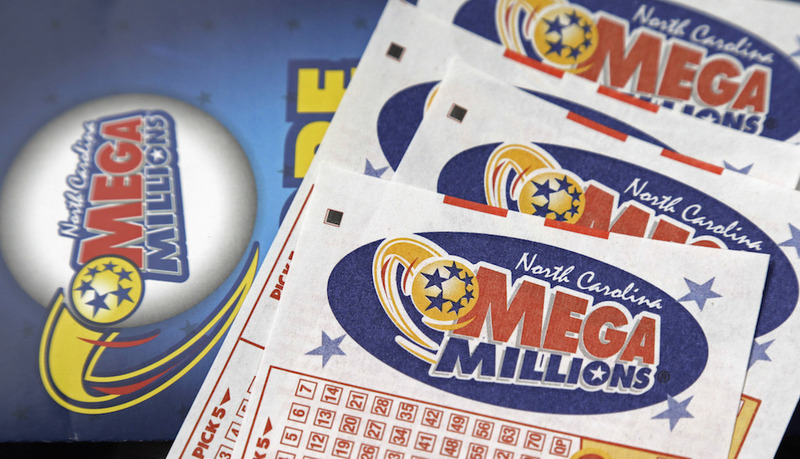 “Everyone is talking about the jackpot and running out to buy tickets for tonight’s drawing,” Gordon Medenica, Mega Millions lead director and Maryland Lottery and Gaming director, told CBS News. “It’s always a thrill to have both jackpots rolling, but there’s an extra spark now with Mega Millions reaching a new record,” he added to ABC News. The Powerball drawing had an unclaimed pool of $345 million as of Oct. 17. The drawing is in the evening. It has a cash value of $199 million. The odds of winning the jackpot are quite low at 1 in 258.9 million for Mega Millions and 1 in 292.2 million for Powerball, CBS noted. LENDEnu did a survey of Americans’ lottery buying habits, finding that the average American buys about $223 per year worth of lottery tickets each year. Massachusetts residents spend the most at nearly $763 per year on lottery tickets; North Dakota residents only spend about $44 per year—the lowest. The all-time largest win was Jan. 13, 2016, when three tickets shared $1.586 billion in a Powerball drawing, CNBC reported. On July 24, a California office of 11 co-workers shared $543 million, which is the largest-ever prize won in a Mega Millions game. Mavis L. Wanczyk of Chicopee, Massachusetts, won the largest single prize in lottery history, taking home the $758.7 million Powerball jackpot in August 2017. She kept the lump sum of $480 million. Tickets for Mega Millions are also $2, and the deadline is 10:50 p.m. ET in most states. Powerball tickets are $2 and have to be purchased by 9:45 p.m. ET in most states. In August (as seen in the top video), in a recent Powerball jackpot, someone won $245.6 million on Staten Island, New York. Nandlall Mangal came forward in late September and claimed the ticket. The lump-sum payout is worth about $99,321,975 after withholdings, the Post reported.